IDK if upgrading to an 8700k and a 1080ti or 2080ti would be worth it for me, i dont really mind the slow framerates (even when landing at a very busy airfield when i get 25ish fps) What do you guys think? Did you disable ASW while doing the test? What should I expect regarding fps and graphics settings along with super sampling? If this is the wrong thread please show me the way to the right one. Thank you for running the test with your i5-4670K. It is the first model of this CPU tested in the table. 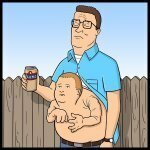 According to your Singlethread value 2567 you should achieve a bit more. - The 1070 is being bottleneck. You can check that by looking the load of your GPU during the track run. You can do that with MSI afterburner free tool. But if you are fine with your framerates, then there is no reason to upgrade. But if one day you want to upgrade I would upgrade first the CPU and keep your GPU. If upgrading, I would consider new MB, Ram and CPU rather than just the CPU. Unfortunately I think that CPU is going to hold you back. The GPU will be able to do increased supersampling, so the picture should look nice and crisp. I would start with SteamVR 150% supersample and 'balanced' in-game settings, and see how it goes. A lot of people are fine flying 45 FPS ASW, if that works for you then you can increase to 'high' in game settings. What processor would you recommend to get things rollin? I'm personally thinking on a 8700K with 16gb of 3000ram, but of course, it depends on your budget. Thank you LB for giving our first test with the 9600K at 5.0GHz. I assume you use the Rift, right? Also, could you run the passmark test and provide the single-thread performance as explained in the instructions? I also assume you did it with version 3.009. It will be our last run of that version. Have anybody tried the v3.010 with this benchmark? I have sold my Rift and can not compare. Note: The test with Pimax5K+ is still to be done with this benchmark. I really don´t know what SS should I use here just to compare performance with other headset in a fair way. 1.0 and 'normal' fov. If I may make a suggestion. Not a fair performance comparision with gen1 hmd's but I don't see the need for that. Most would buy the pimax for the improved image clarity/fov and so also expect a drop in performance. For me performance comparisons between pimax users and what to expect at 1.0 ss with any given hardware is plenty more interesting. I suppose that with 1.0 you mean Pittol at 1.0 and SteamVR at 100%. Right? If this is the case then the clear bottleneck is GPU. My idea was to use 66% (or something like that) which also gives good visuals (superior to Rift) but also a more decent performance. I am also thinking about other display frequencies (60, 72, 90) and other FFR modes. I have used the Normal FOV, Pitool Rendering Quality=1.0 and SteamVR SS set at 26%. This gives 6.59 million pixels which is exactly the same amount of pixels than the Rift at 150% SteamVR SS. I still didn´t upgrade to the new Pitool with freq changes, so it is 90Hz for the display. I chose 26% to be coherent with the rules I applied to the VivePro and Odyssey+. I don´t use 26% at game (I have not tried how it looks like), normally I use 66% and SteamVR recommendation is 55% for my 1080Ti. But what everybody will want to know is how the performance change when the SS is increased, so I conducted a series of tests from 26% to 150% SS in SteamVR. this graph is in the "SS per device" online spreadsheet of the benchmark. So, WELCOME again to the GPU bottleneck AGE!! Now it is a tradeoff of visual quality versus fps. Of course, good overclocked CPUs is a must but not enough ! Any Pimax5K+ user is welcome to run the test as well, specially the ones with 20xx cards for the FFR. So we need a 4080ti This is great info chili and based on this I'm getting me a new card and a pimax. Pleasantly surprised your avg fps at 26% steam ss is so close to your rift performance also. Expected pimax not to reach quite all the way so soon considering they haven't had those years of optimization. Honestly I'm really curious to see how the Radeon VII performs in IL-2. Not that I can upgrade to it. Currently using a 1080, can't justify ~1k cad for 20% at best... same reason I can't go to the 2080 series... just isn't worth it. Hey guys, super new to IL2, been trying to get my VR up and running and finally have a score worth posting after some trouble shooting! I've just put a custom watercooling loop in and have been having some issues with CPU temp. I know the 7700k is notoriously bad for this, but I'll be draining it this weekend and reapplying the thermal paste in an attempt to get a higher clock. Here is my new test with the Pimax 5K. After trying a lot, I wanted the best result between sharp and smooth. So I have about 5000 FPS less to my previous measurement with all the settings from the first post. When I play with the current setting, everything is absolutely smooth and the tracking with two ViveBoxes is absolutely fantastic. No matter if online or offline. No matter if many clouds or little. No matter if busy or not. I feel it as smooth as with 5000FPS more. The only card to buy for that price is a 2080ti. Nothing less. The 2080ti is by far the fastest card out right now. Nothing comes close. It's like 35-40% faster than a 1080ti or 2080. I should sell my 1080ti and 1070 I have and try and get one.  Welcome to VR club and thank you for posting your tests. 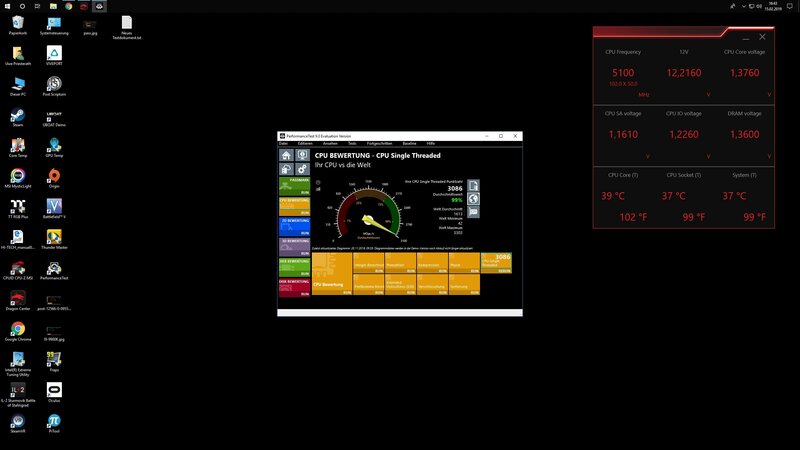 In your first test you use OC in CPU with 4.7GHz and achieve STMark of only 2605. This is not aligned with previous tests of 7700K. Look at the "STMark vs OC" tab in the spreadsheet and you will see that for the 7700K for 4.7 the expected STMark value should be around 2750, not 2605. Maybe you were running the STMark with different OC (4.5 perhaps) or maybe your CPU is throttling while you run the CPU Passmark. In you second test, you achieve a Max of 94. This is not possible. Typically the maximun Max is 90 or 91, but not 94. But in this case the STMark you achieve (2837) is very much aligned with the STMark expected for a 7700K at 4.9 GHz. In theory your 1080Ti should not be fully loaded with this test. To check that you can run MSI Afterburner during the IL-2 test and use their trendlines to visualize CPU freq., CPU temp, GPU freq, GPU load and GPU temp. Thank you for posting your personal results with you superbeast machine and the Pimax5K. Achieving 5.1GHz in this 9900K is a great achievement. Please, if you could, post also the Passmark test as indicated in the instructions (Passmark is a free non-invasive software). Since it is not using the same settings that the test I didn´t put your results in the main page, but in the "SS tests". I see you use Pitool RQ=1.75 and SteamVR at 22%. This gives a multiplying factor of 1.75x1.75x0.22= 0.67, so your test is equivalent to running RQ=1 and SteamVR SS at 67% (or 66%). There is no reason to touch pitool RQ, I have it always at 1.0. The graphical effect is the same than touching SS, I demonstrated that in this post. Someone say that using higher than 1.0 in RQ and reduce SteamVRSS for the same pixels gives better performance, but he didn´t demonstrated that. So, I don´t think this influence performance at all. (but still to be proved). For for the shake of comparing your performance with others, you could run the test exactly at the same setting that instructed in the post and share your results. Running at 45fps could be very smooth for many people, it is very subjective. I also have to say (it is also subjective) that I notice less the lack of being at 90fps in the Pimax5K. App setting then as close to 2880 as possible which would be a SS factor of x2 from the 5K native Res. You could also just try the native resolution on the Vertical of 1440 in SteamVR App setting and see how that looks on the 5K. It doesn't look good on the 8K but 2160 does. Thanks for the feedback - I was having a few issues initially getting anywhere near those scores. STMark was definitely run at 4.7 - checked using Argus monitor before running the tests. I did think it was weird at the time seeing 94 as no one else had gotten above 91, any idea what could have caused it? I've got MSI Afterburner installed now. In regards to the Supersampling values, that was one thing I thought was quite strange. Setting my (SteamVR) SS to 150% results in a different eye render than what is displayed on the instruction page. At 150%, mine says a render of 1626x1940 per eye. Is that normal? checked using Argus monitor before running the tests. Checking the freq before the test doesn´t guarantee that you maintain that freq during the test, since if you have high temp, or high amps,or high power then your CPU could throttle (reduce the freq). 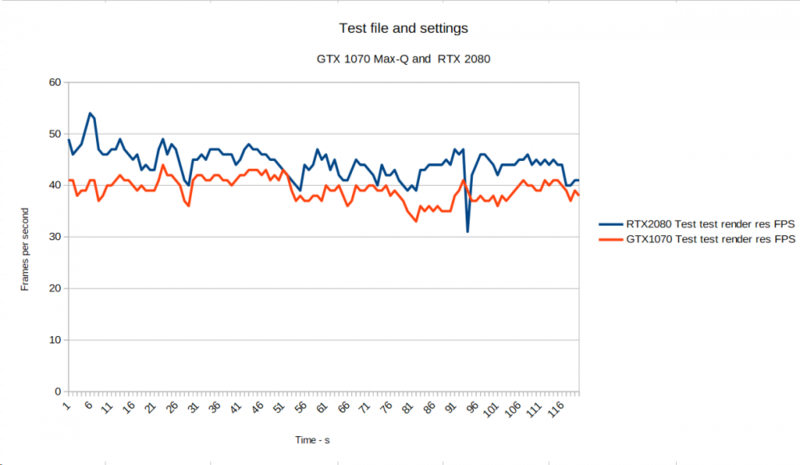 That why is good to run MSI Afterbuner trendlines during the test, so you can see freq is maintained. The 94 could be due some short of anomaly during the test. Try to repeat the test to see if it is again 94 the max fps. The 1626x1940 is also strange. Perhaps Oculus has upgraded the software with a bit lower internal SS. I have not a Rift to measure again. Can someone else verify this? Another reason could be that you have a small subsampling somewhere else, for example having in OTT a 0.99 instead of a 1.0. Or 98% in the SteamVR App section. Today i run the same test with HT disabled and CPU overcklocked to 4,9ghz - Test results were the same from the previous 4,3ghz test... any idea why i din't got any gain? Please do not handicap yourself with inferior products such as a ryzen series cpu. If you are deadset on supporting a company that hasn't produced anything competitive in nearly a decade then wait for the ryzen 3 to show up in the hopes it may finally reach parity with intel. Pre eGPU I would run it on Low, with Terrain render at 4x, Distance at 100, Clouds and Shadows High, Sharpening, SSOA, HDR and 4K textures. I can't remember the original Target Render Resolution as there has been so much experimenting since. With the eGPU I run it on Balanced the same options as Pre eGPU. The Test track and settings are an odd bunch. Target Render Settings I am testing at the moment are 3469 x 3055 and 2453 x 2160. I think the later is better not just in frames but also with Nvidia Control Panel AntiAlaising Transparency Setting set to SS x2 or x4 - I get a pretty decent view in headset which makes spotting good both air and ground targets and decent frames. Normal AntiAliasing I leave off. In test maybe 30% better with eGPU but it also scales well with res and my Laptop doesn't cook itself. Not that they are inferior - in many cases they are superior but at the moment in Single Threaded Processes - Intel wins. Unfortunately for us, Il2 relies strongly on single threaded performance at this point in time. Ryzen 3 might be worth a look at when it is released but wait until release and reviews are in before jumping on it. If you are wanting a CPU for a Server or a Workstation PC - then AMD all the way. Not to mention you'd be supporting Canuks instead of Kosha Nostra. You may want to check whether you have forgotten to set the AVX offset to 0. Many thanks blitze for running the test. It is the first laptop in our table!! Just curiosity, is there any reason for you to use a laptop for IL-2 VR? It is also the first Pimax8K test. 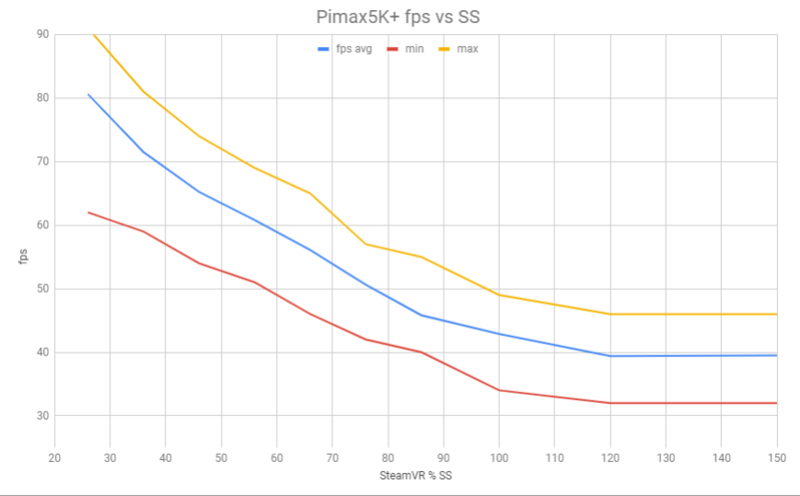 For the time being is OK to use 26% SS (like in Pimax5K+) but I need to calculate the exact number for the Pimax8K. Could you please give me two screenshoots of SteamVR Video SS: one with 26% and another with 100%? Also, your test with the 1070 shows some strange numbers. If the Min is 33 the Avg can not be 30.225. Looking to the graph it seems you make a typo, should it be 40.225? Tempertures were stable in the rage of 70°.... so i doubt ther's any throttling..
Throttling is not only for temp. It could be due to amps or power. If your temps are OK try to put higher limits of amps and power in BIOS. You can also trend the CPU freq while you run the test using MSI afterbuner. Just to be sure there is not throttle. You can also do multiple test form 4.0 to 4.9 with increments of 0.1. Just to see where you hit the max fps. Images as requested the 1070 one just showing the SteamVR recommendation for the GPU. Not much tweaking I can do with the i7700HQ - aside from undervolting. I can overclock the GPU +200 on both but I run them stock and I hear memory overclocking on Video Cards now days doesn't give much benefit. For the laptop, I spend time between countries with 3 and a half months in Aus. Thought at the time I got it, the laptop would be ok for my duties. It when hooked up to a monitor did decent speed on 1440p Il2. It didn't do too bad for what it is in VR but at low settings for reasonable res and frames. Your track is quite a cruncher - last night I was flying Stalingrad CAP missions and on the eGPU at 2160v res I was sitting between 50 to 70fps on my Balanced Setting. Normal Antialiasing off but Nividia Antialiasing Transparency set to 4x SS which gives no frame hit but sharpens things up nicely. I am still experimenting with settings though - I need some of that magic Fairy Dust. 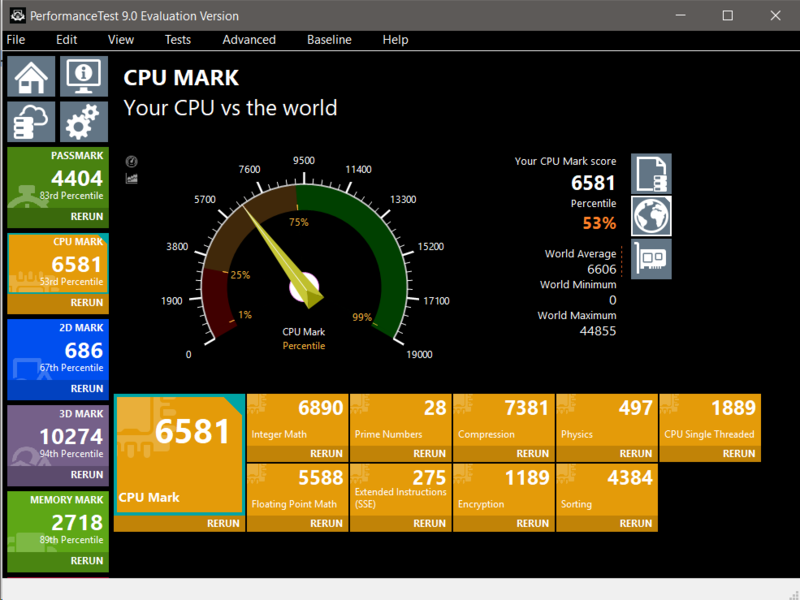 The newer versions of my Laptop might also do better in CPU Mark as they are either a i9-8950HK or i7-8750H CPU's. I also think, eGPU's will be better served with a more direct to CPU bus but there are security concers with that type of architecture - not that Intel doesn't have enough of those already including with Thunderbolt. Anyway, not without it's issues but I am glad to have what I have both the laptop and Pimax 8K. Not the rocking PC beast that some have but it puts up a reasonable effort. I also still think that working with the native panel resolution of headsets or factors there of will give the best results in speed and image. All the lens distortion geometry calcs and stuff are done before the info is fed into the GPU for rendering and then sending to the HMD. I also think the scaler chip in the Pimax 8K might also hinder the image clarity and it would be great to eventually bypass that. Anyway - VR is great - even with what we go through to deal with it. Better than Monitor, better than Stereo Glasses - only to be surpassed by Holodecks - one day. Think the whole idea around this is not quite optimal. For measurements I still think we need FCAT VR and not “the last update in 2013” FRAPS. The only question is how do you compare data sets from different headsets with FCAT VR? Yeah fraps is pretty bad at this point. FCAT would certainly be better, but FRAFS does a decent enough job of showing a frame time plot. It helped me a lot in my VR tuning.